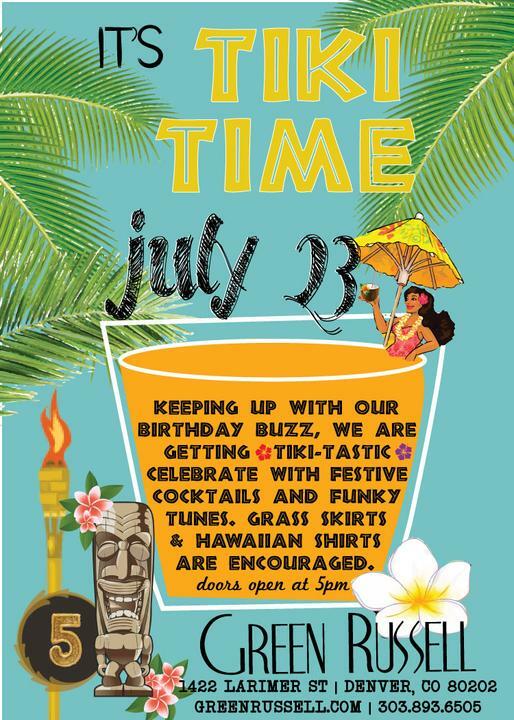 The very cool Green Russell bar, 1422 Larimer St. in Denver, is having it's surf/tiki themed anniversary party on July 23. The Royal Aces will provide the reverb and twang from 8 to midnight, and the event is completely open to the public. The Midnight Surf plays Central Florida this Friday! 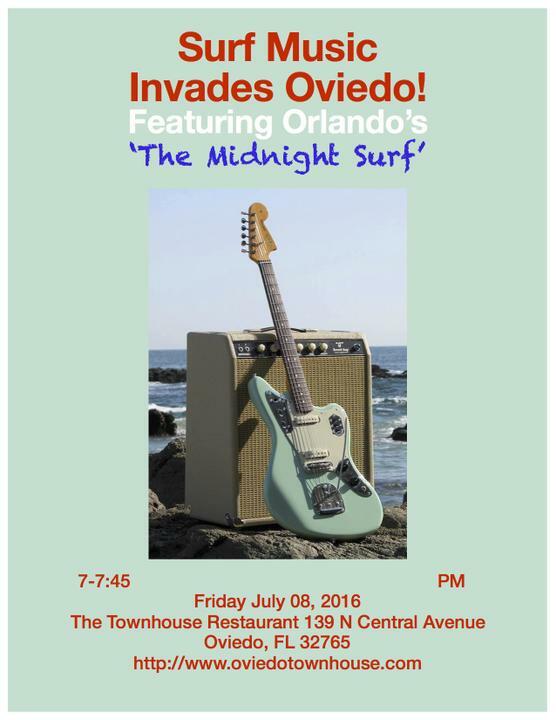 Orlando's newest Surf Instro-combo will be playing the Village House in Oviedo, Florida this Friday. Out on the patio, what a better way to unwind after a work week? 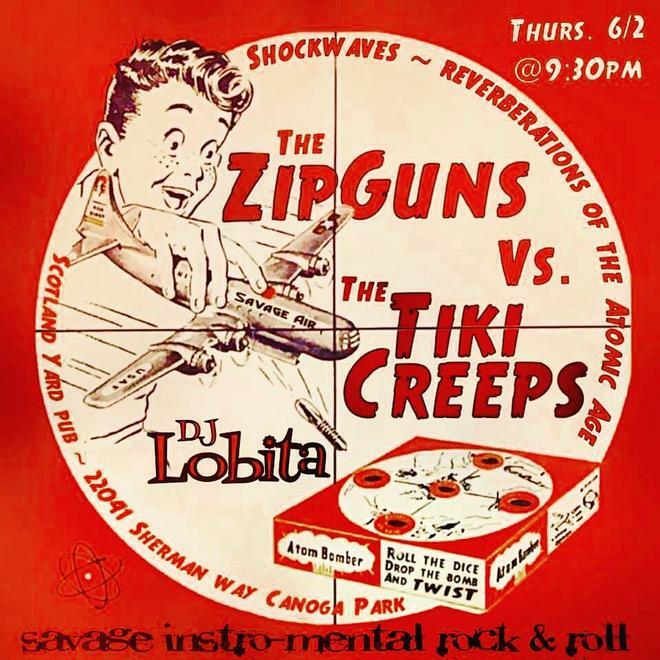 tHe TiKi CReePs, Monstrously Soothing Instrumental Hot Rod Garage Surf Sounds! 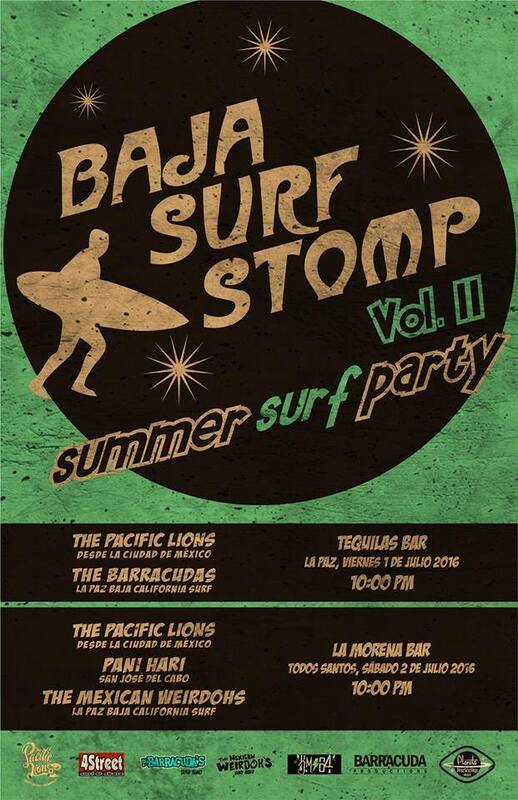 Baja Surf Stomp II: "Summer Surf Party"
"Los Pacific Lions" meet the locals "Mexican Weirdoh's", "The Barracuda's" & "Panu Hari" in this 'Summer Party'. 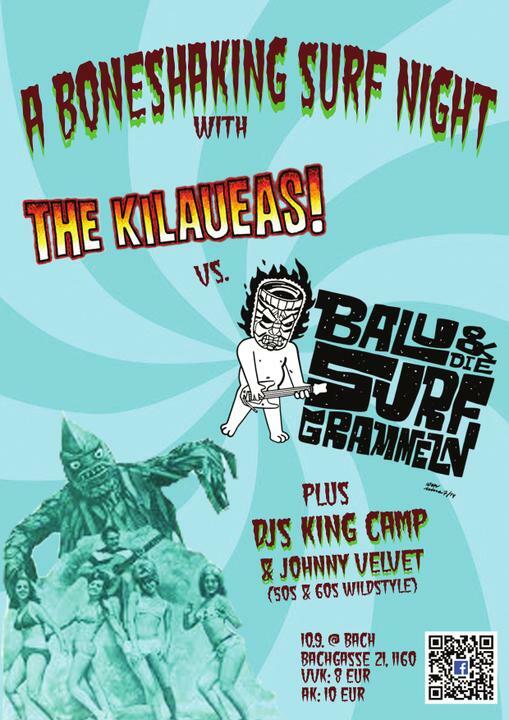 If you are on vacation in South Baja don't miss this two shows, Surf Music in Mexico is alive! 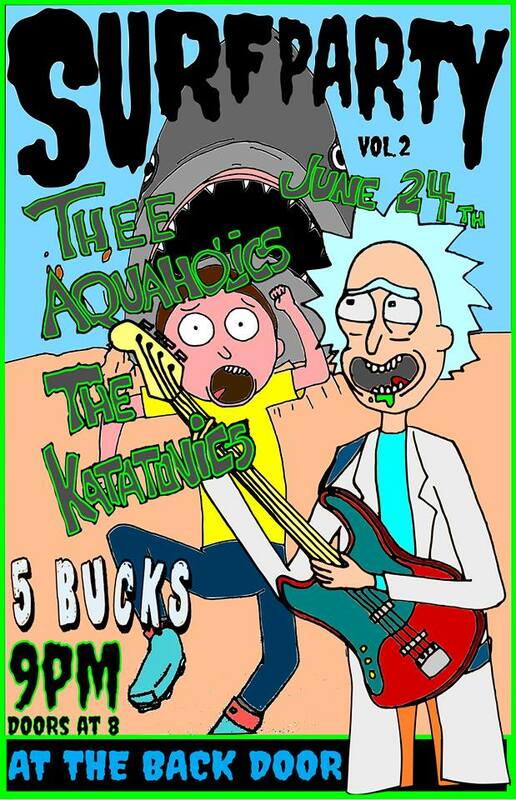 Friday June 24th Thee Aquaholics and The Katatonics at The Back Door in Bloomington, Indiana. T0m0rr0w Night, in the Valley, Savage instro-mental Rock-n-Roll !! Hope you come along that night, to meet 4 Dudes from Germany, who want to Getabitarockin !!! 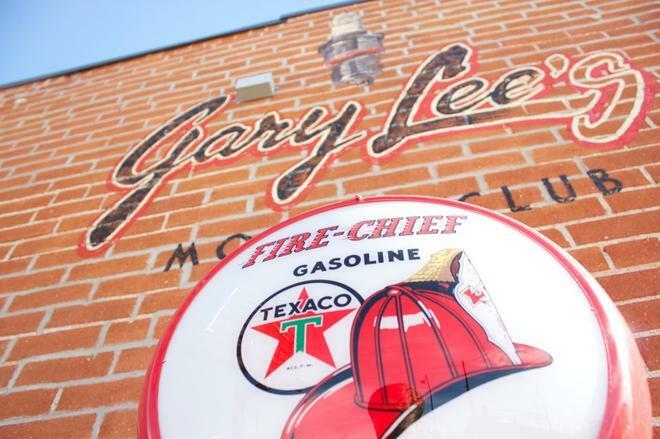 Gary Lee Bomar, owner of Gary Lee's Motor Club and Grub, passed away tragically last month. Gary Lee was a memorable character and member of the Denver music and restaurant community. His club continues to operate proudly, and the Royal Aces feel privileged to return there on November 25, at 10 pm. 176 South Broadway. 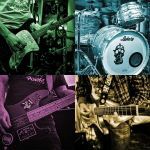 On October 17th 2015, The Ottobar in Baltimore will present it's first edition of The Ottobar's Shrunken Head with live instrumental surf rock from The Atomic Mosquitos, The Flying Faders and Killers from Space. Surf movies, booze specials and other surprises as well. All hosted by DJ CCow!! 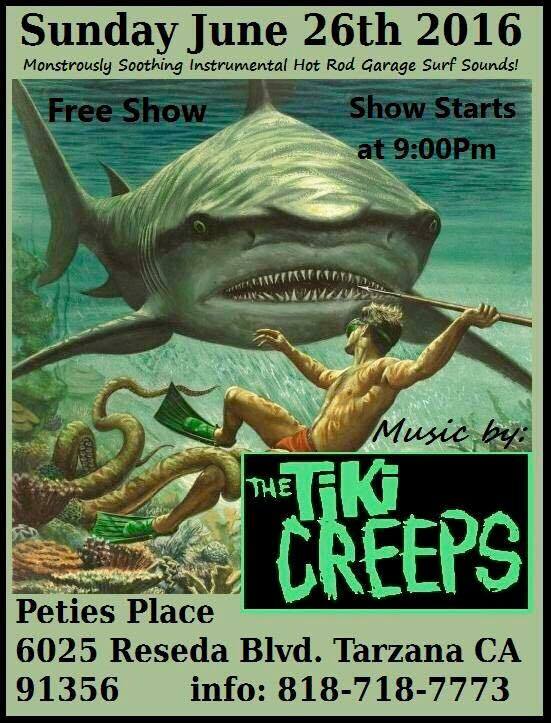 This will be a FREE show! Get into it!